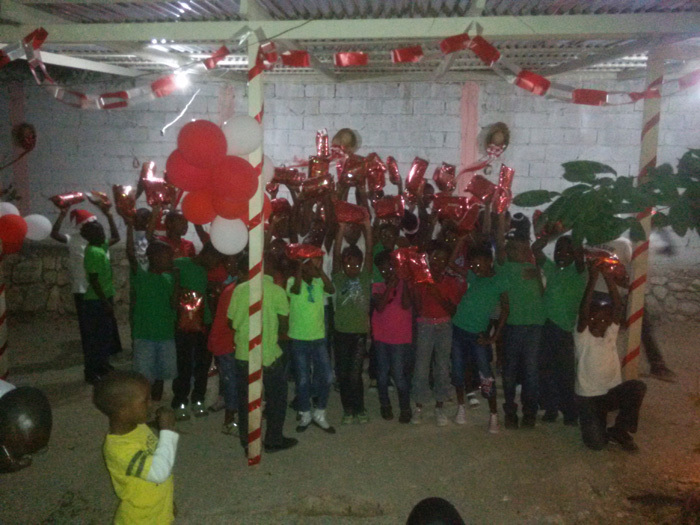 Christmas at the Children of Haiti Project! Thanks to 11-year old Bella Gibbons’ fundraising efforts, 260 students, their families and special guests were able to have a full Christmas meal. 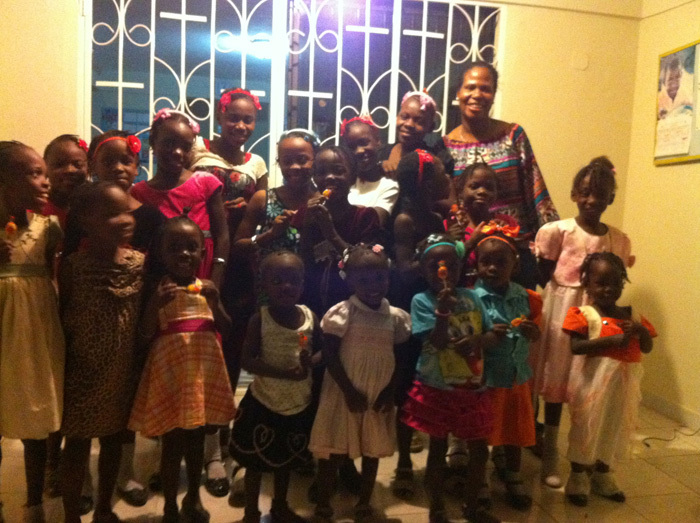 This year our special guests were children from a nearby orphanage that is undergoing a rough time and possibly closing, (image with Program Director and group of girls), and a group of 20 other children of the neighborhood. 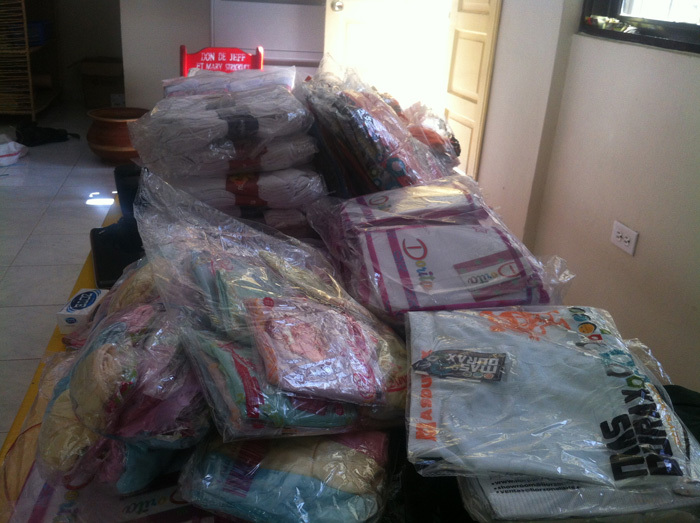 Thanks to 4HNYC each child received a gift of much needed undergarments. The festivities lasted well into Christmas Eve, and everyone left happy with a very full belly. Thanks Bella and 4HNYC! !